Ice Chart, Grand Banks Region, September. Ice Chart, Grand Banks Region, August. Ice Chart, Grand Banks Region, November. Ice Chart, Grand Banks Region, March. Ice Chart, Grand Banks Region, July. Ice Chart, Grand Banks Region, October. Ice Chart, Grand Banks Region, June. Ice Chart, Grand Banks Region, September, October. Ice Chart, Grand Banks Region, July, August. 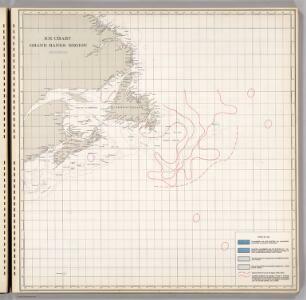 Ice Chart, Grand Banks Region, May, June. Ice Chart, Grand Banks Region, March, April. Ice Chart, Grand Banks Region, November, December. Chart From Cape Cod To Belle Isle. Ice Chart, Grand Banks Region, January.